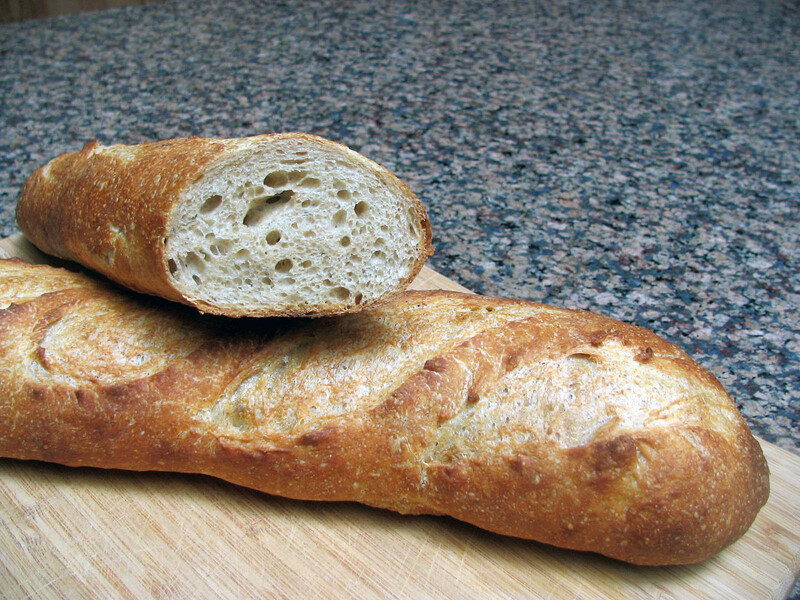 Over the past two and a half years I became comfortable baking rustic breads using wild yeast. The baguette, however, gave me lesson after lesson in humility. 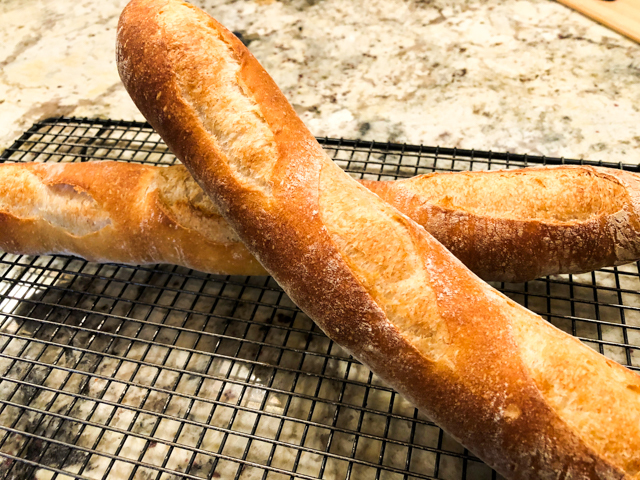 Baguettes are deceptively simple to prepare, but if you seek a bread with Parisian quality, then each step of preparation must be flawless: bulk fermentation, shaping, final proofing, and baking. 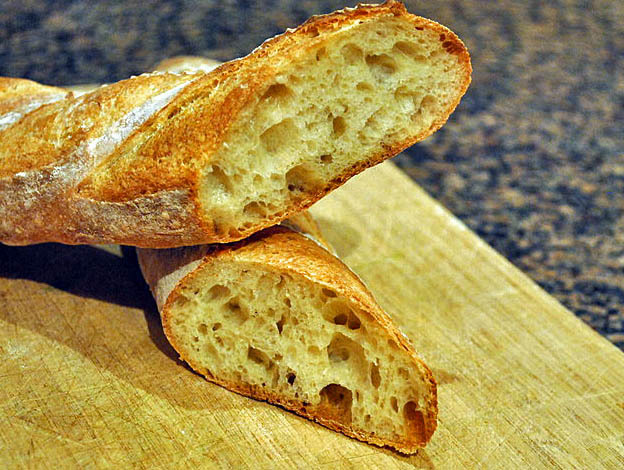 I’ve tried many recipes, but they never quite matched the superb baguettes of the 7th Arrondisement, where we used to live. Mix water and flour into a lumpy mass, cover and place in the fridge for 12 hours. Remove from the fridge, add the starter and salt to the dough, and mix until distributed. The dough will be very sticky, but you should resist the temptation to add more flour. Allow it to rise at room temperature for 2 to 3 hours, kneading by the “stretch and fold method” every 30 minutes. The dough may rise about 30% of its total volume. Place the dough covered in the fridge for 24 hours. Remove the dough from the fridge and let it warm up for 1 to 2 hours – you want it to rise but not get overly bubbly, because that will make shaping very tricky later. 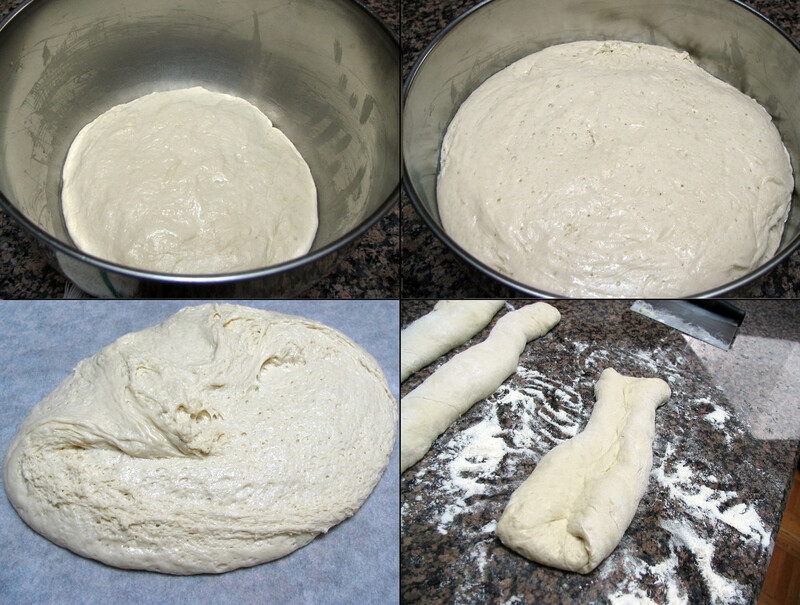 Divide the dough in four pieces, taking care not to deflate it too much. 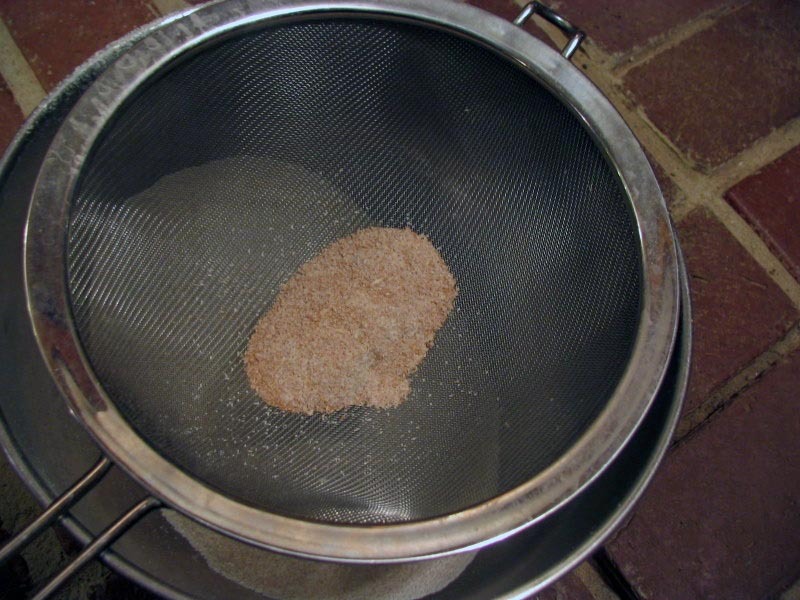 Place each piece over floured parchment paper, and let it relax for 40 minutes. Shape each one as a baguette (for a nice tutorial, click here), proof for 30 to 50 minutes, and bake with initial steam at 460 F for 25 minutes. Let it completely cool before slicing. 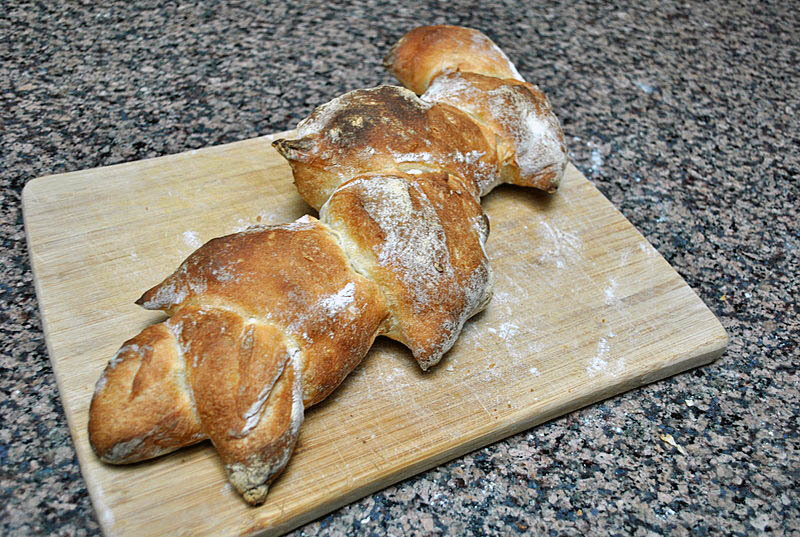 Comments: When Txfarmer described this recipe as “everything I know in one bread,” she meant it. She baked multiple batches to perfect it, and made it clear that you need a good “feel” for the dough to get good results. That’s why the initial stretch and fold cycle varies from 2 to 3 hours, depending on the ‘strength” (gluten development) of your dough. 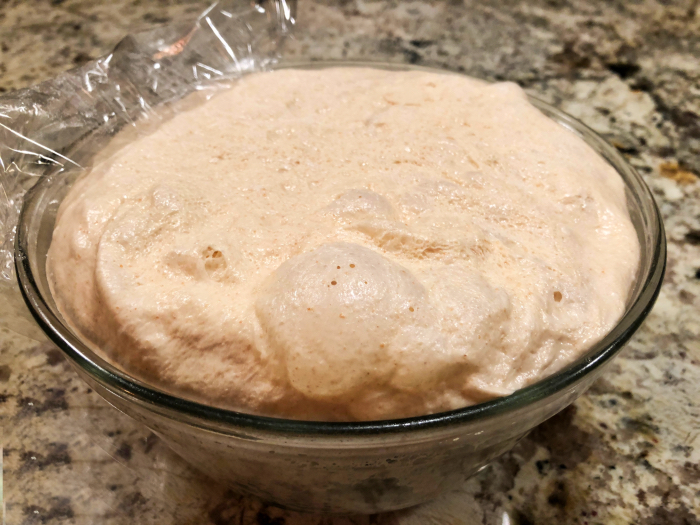 The final rise at room temperature will also change depending on the temperature of your kitchen, and how much “lift” the starter provided during the 24 hour fermentation in the fridge. If you are new to bread baking, particularly using wild yeast, all these variables are intimidating. 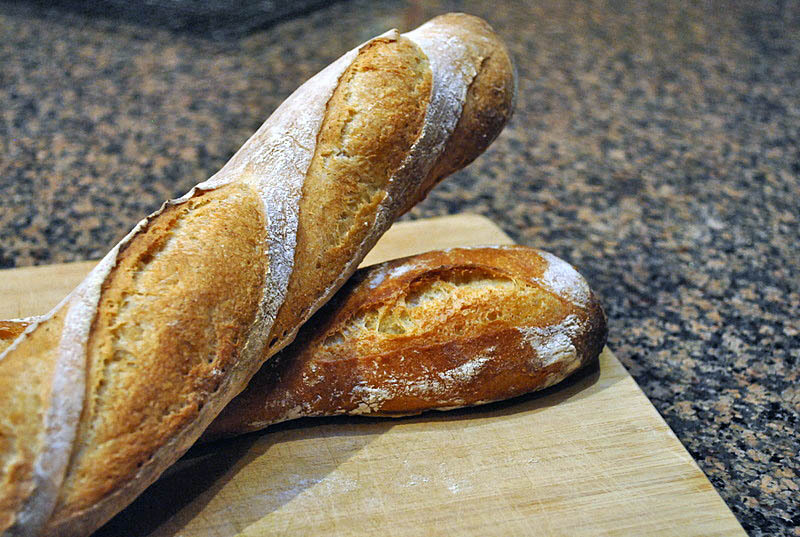 But if you’ve baked your share of sourdough breads, then consider making a batch of these baguettes, which taste incredibly good! The crumb is open, the taste surprisingly mellow, with an almost “sweet” component, hard to imagine in a sourdough. 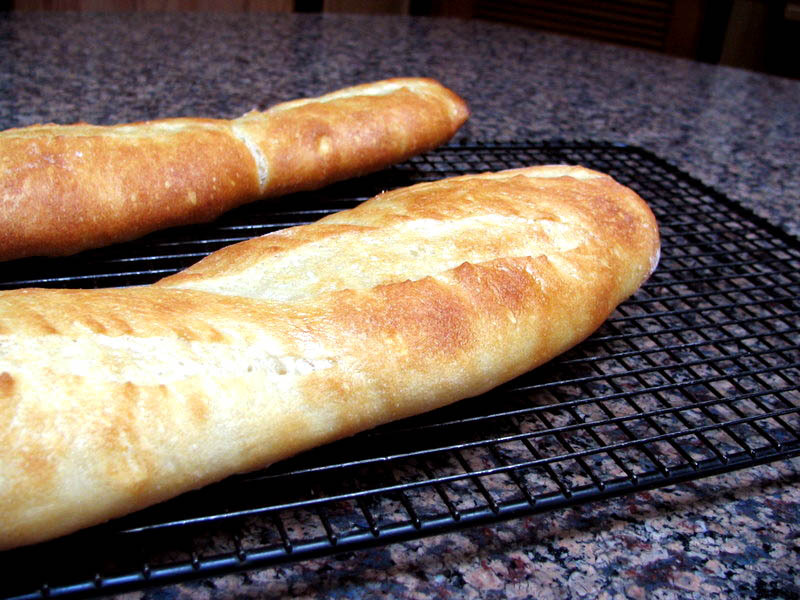 You may have noticed that my individual baguettes ended with different types of crusts. The difference lies in how I generated steam during baking. 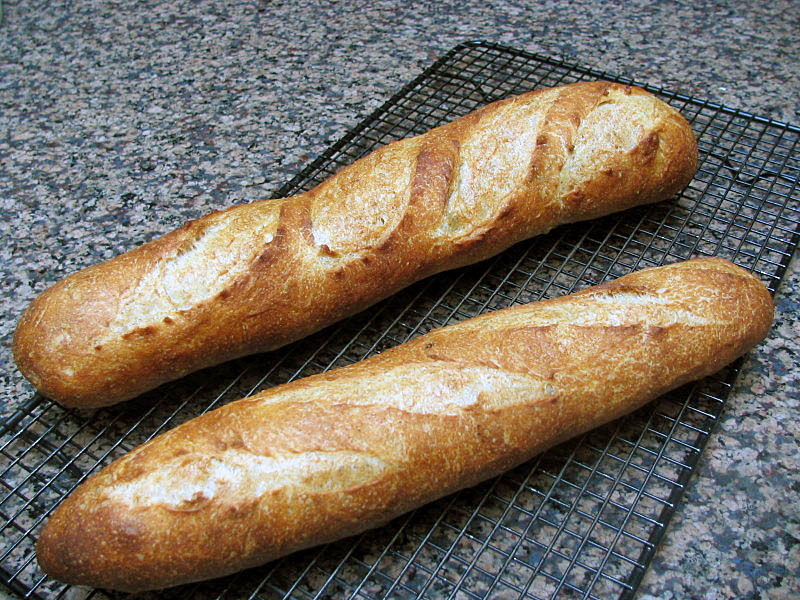 Two baguettes were baked with an inverted roasting pan (sightly wet) on top: they developed a nice, shiny crust, with a “caramel” color. 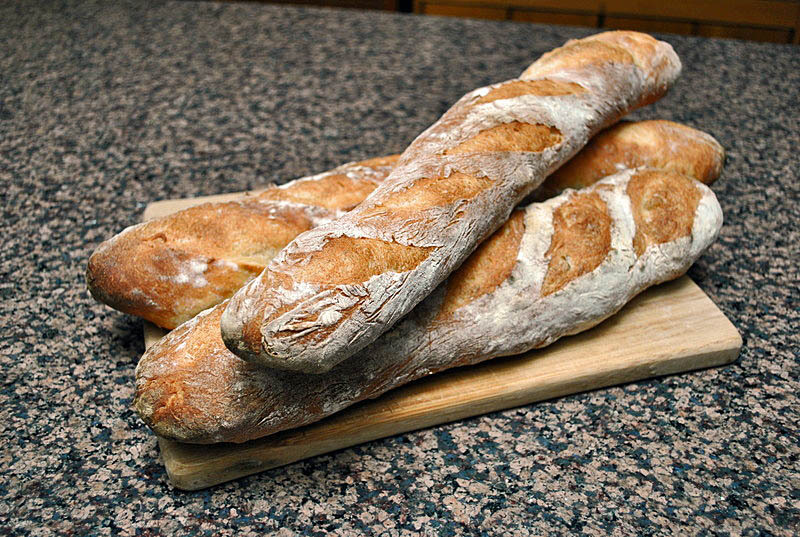 The other two baguettes were baked in a perforated pan, with steam coming from water poured in a cast iron pan placed at the bottom of the oven. Their crust is less shiny, but they had more oven spring. 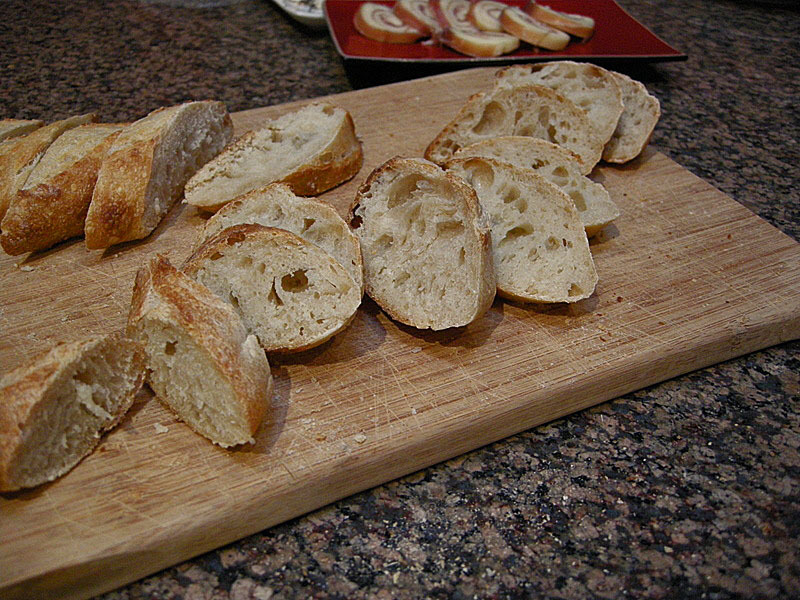 My favorite method is the inverted roasting pan, but it has a major drawback: I can only bake one baguette at a time. 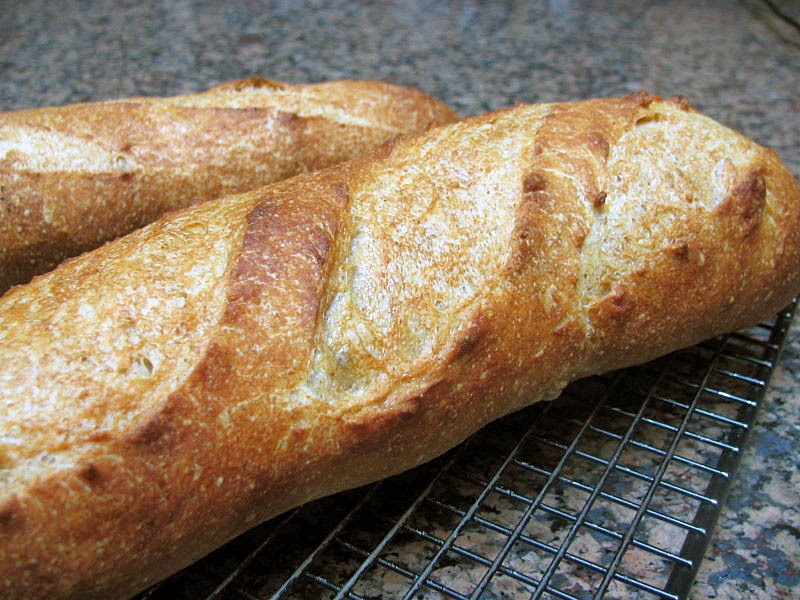 If you dream of perfecting baguettes at home, you MUST try TxFarmer’s recipe. 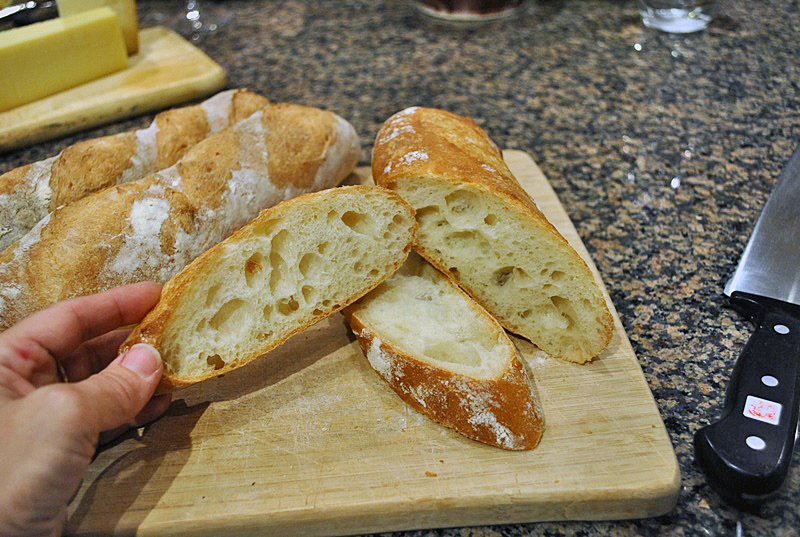 Many bakers already did, and raved about it (check the discussion at The Fresh Loaf Forum by clicking here). These days the the wonderful aroma of bread is wafting through the Bewitching Kitchen … For those who don’t know about “The BBA Challenge“, a few months ago Nicole, of “Pinch My Salt“, decided to bake every bread from Peter Reinhart’s book “The Bread Baker’s Apprentice“, and sent out a virtual invitation to anyone interested in joining her. It involves forty-three breads in all, made in the order that they appear in the book. Over two hundred people accepted the challenge, including me. It’s been a ton of fun so far, with ups and downs, successes and failures. Reinhart’s recipe calls for kneading the dough. I prefer folding instead of kneading, so that’s what I did: 3 folding cycles during the initial 2 hours of fermentation. 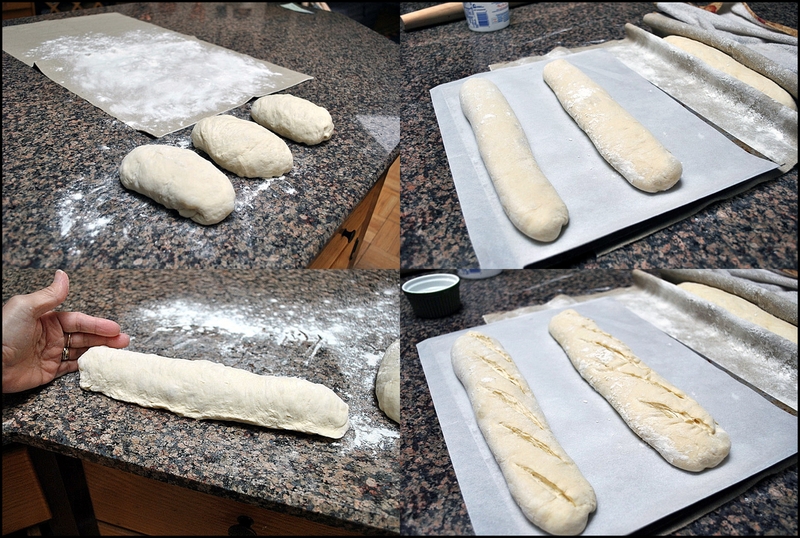 After cutting the dough into three pieces, I shaped each one as a baguette. 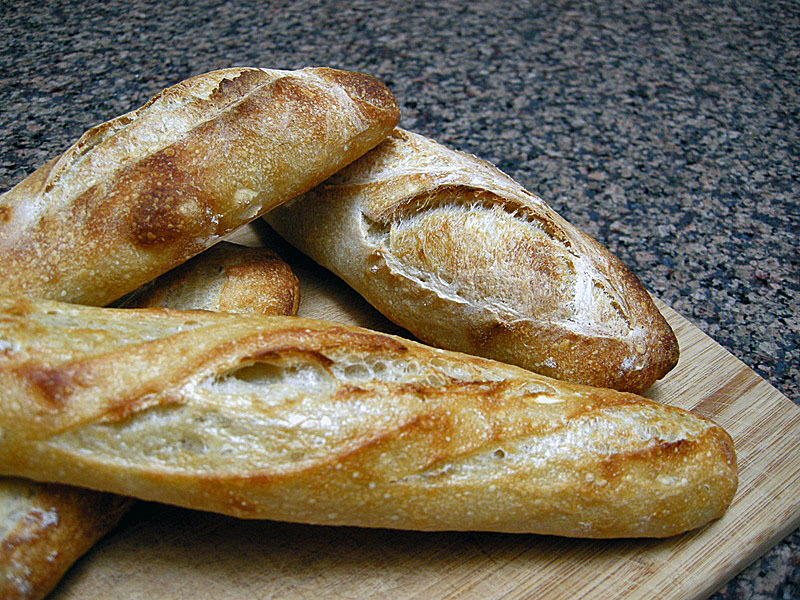 After two more hours rising, the baguettes were slashed with sharp razor blade, and placed in the oven. In the meantime, you can watch a particularly instructive video here…. These baguettes were delicious! I’d probably reduce the proportion of whole wheat in the dough, but this recipe is already a winner for me and my husband. Another bread I was looking forward to! We arrived from the other side of the world a little tired, but after a nice shower I grabbed the book and prepared “pate fermentee”. It’s a fancy name for a simple thing: flour, salt, yeast, and water, kneaded together, allowed to rise for one hour and placed in the fridge overnight. 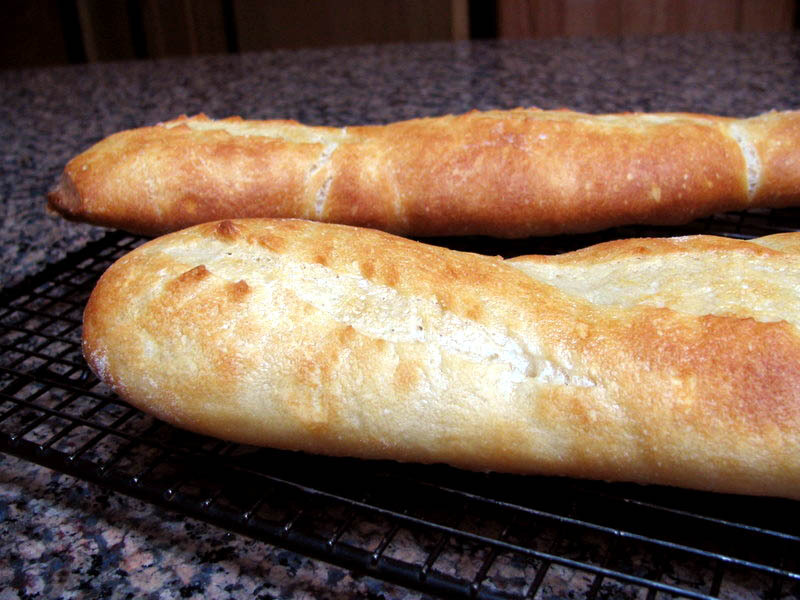 French bread is reasonably easy to make, but tricky to shape, as the dough contains a high proportion of water. Refrain from adding too much flour and you are half the way there. 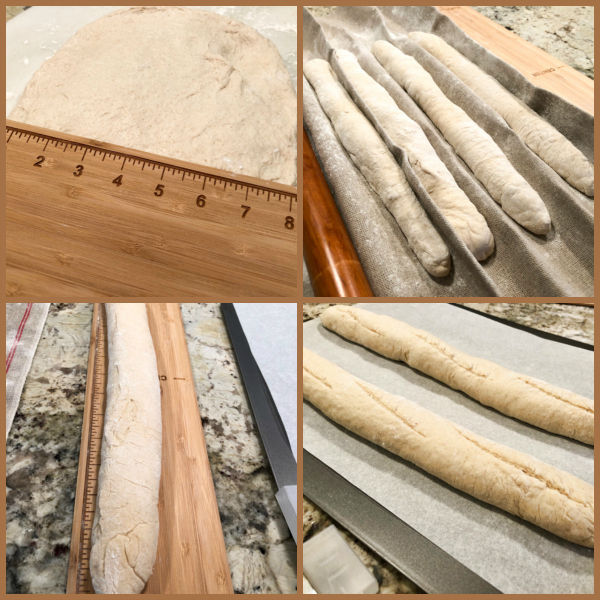 These photos show the complete dough (pate fermentee’ + more flour, salt, yeast and water) before and after rising for 2 hours at room temperature. 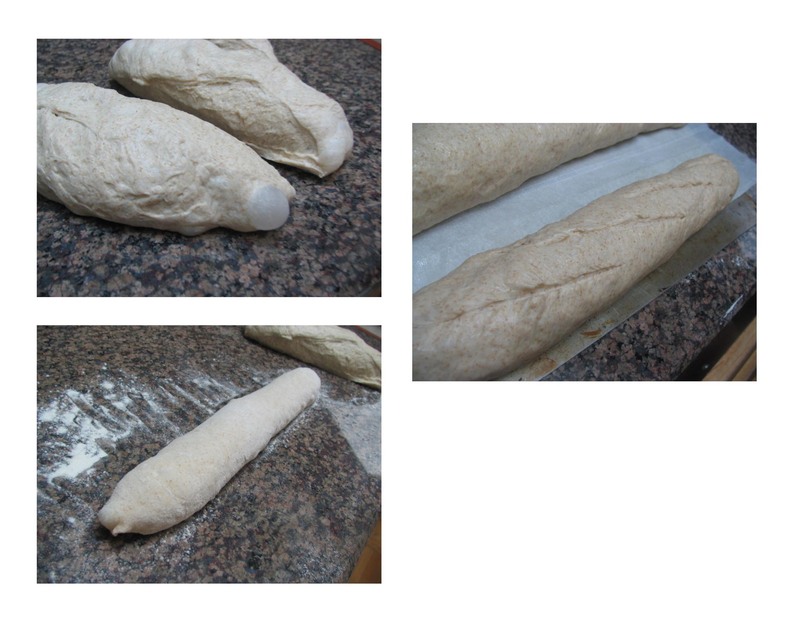 I cut the dough into three pieces, shaped as baguettes, taking care to deflate it as little as possible. 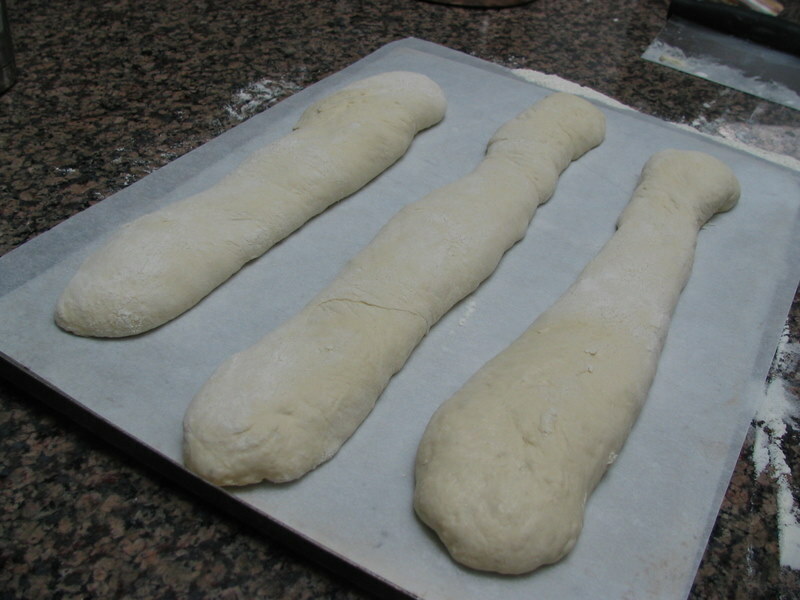 The baguettes rise one more time, at least 45 minutes, then go into a 500F oven. 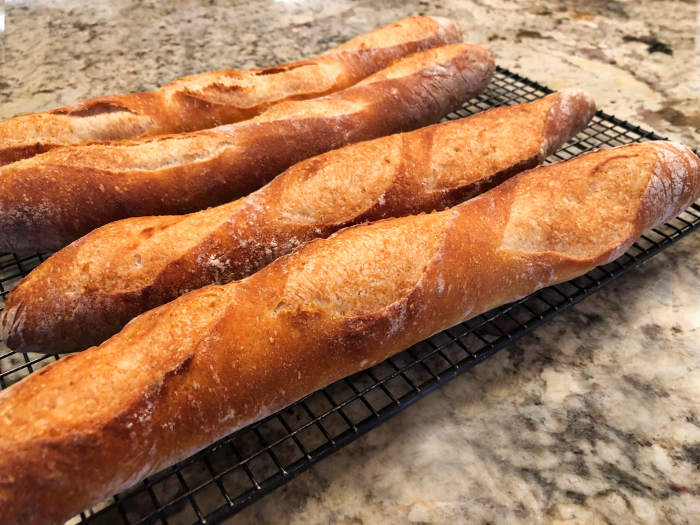 I need more practice shaping baguettes, but overall I think they worked quite well. 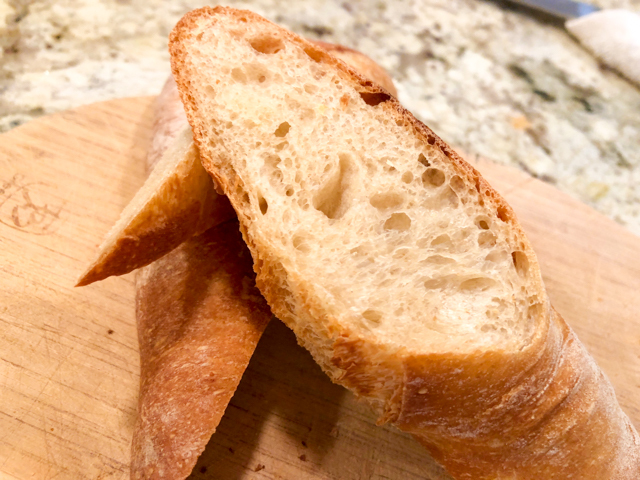 The crumb is not very open, but the bread has excellent flavor and texture. They were a nice complement to our dinner tonight!